Stainless steel hose is the solution to any application that requires high quality security and solid protection. The longevity of your hose should rank very high in your list of requirements, and with a stainless steel hose, you get just that. Hoses that take a lot of using and hugely vulnerable to degrading. When your application is getting large usage without protection, you can know for a fact that it is an accident waiting to happen, that could ultimately cost time and money once it does. Steel is one of the most durable materials known on earth, which has meant it is used worldwide across countless industries. Stainless steel hose will convey this durable feature into hose usage, that will allow you to operate under conditions whereby hoses are at risk of rust and other types of damage. With stainless steel hoses, the amount of maintenance time and efforts you must commit are far less than those not protected in the same way. 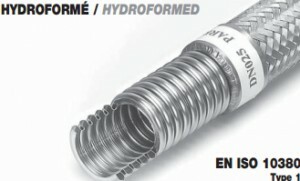 Alongside having the correct hoses in use, the requirement for the right connector also exists. Employing ineffective or incorrect components, your practice will not be as smooth as it could be, resulting in a loss of income and time on your firms behalf. Stainless steel hose providers are working to help you make operations smoother, so consider these excellent inventions for your application immediately.